I am purchasing a bar cart and have been looking for pieces to style the cart. 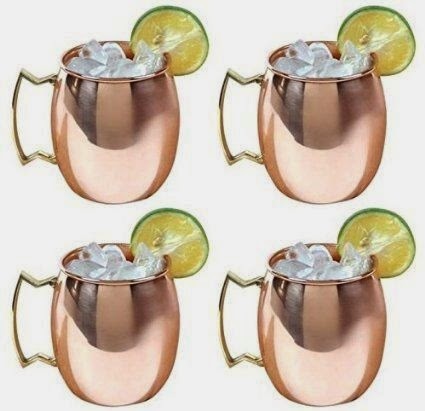 I love these Moscow Mule copper mugs. They are very chic! 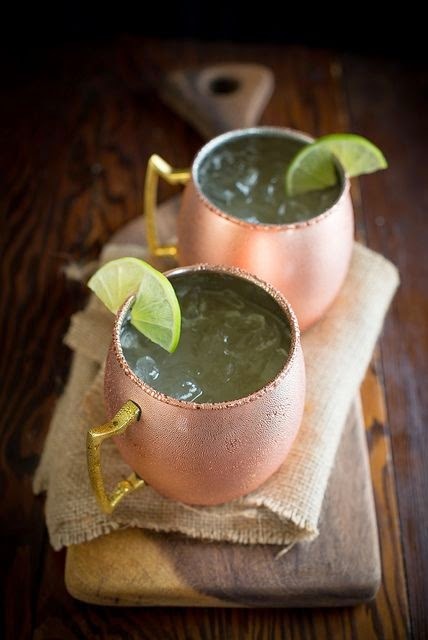 Of course, I had no idea what a Moscow Mule was or how to make one. Apparently it's really good and easy to make, see below for the recipe. Fill mug halfway with ice. Add lime juice and vodka. Top off with ginger beer and stir. 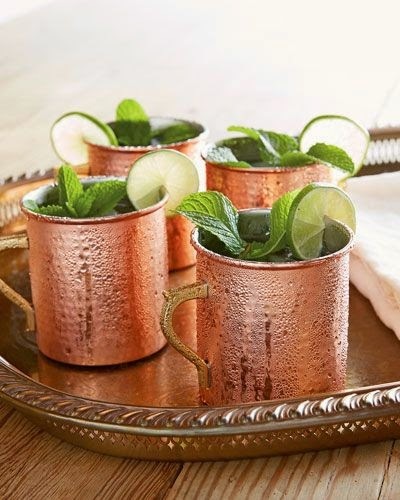 Garnish with the lime wedge and sprig or mint.